Despite wide swinging weather cycles and starter loads from a 17.2:1 compression diesel engine, our 2005 Dodge Ram’s original Mopar batteries survived to their 13th birthday. Likely a record lifespan for OEM 750 CCA lead-acid batteries, the pair exceeded all warranty assurances and other expectations. This driver’s side battery finally failed a load test. My concern for battery life began at Carson Valley, Nevada, in the ‘sixties. Short winter days, shadowed by Sierra peaks, meant that ranch trucks started in -20° weather. There were common sense ways to lessen battery stress, including head bolt heaters and thin-viscosity winter crankcase oil. Rumor had it that STP additive in a gearbox would help keep the 90-weight lube from stalling the engine as the clutch engaged. Years later as a truck fleet mechanic, I explored ways to improve battery life. Preventive maintenance is essential, common steps like keeping terminals and battery posts clean to keep resistance at a minimum. Strategic service steps help: Using distilled water to top off a lead-acid battery, constantly monitoring cable ends and ground connections, and slow charging a deeply discharged battery instead of slamming it with high amperage. As an automotive instructor, I taught these textbook measures, but routine service does not explain why some batteries last much longer than others. In the late ‘sixties, my flock of 1949-62 GM, Ford and I-H trucks had brush-type 6V or 12V DC generators. 1961 Dodge trucks and other Chrysler vehicles pioneered the modern alternator. An alternator provides much higher charge voltage at an idle and low engine speeds. Though modest by today’s standards, a 1961-69 Chrysler medium duty truck alternator put out 51amps at 1250rpm with an overall charge voltage in the 13.3V-14.3V range. Our Ram’s alternator (shown) is capable of a whopping 136amp output! In the ‘sixties, the rule of thumb for a charged 12V battery in top condition was a static voltage reading of 12.6V. Today’s batteries reach 12.8-12.9V static volts. 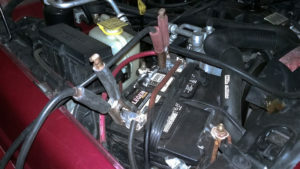 For our Cummins diesel engines, exposure to an Arctic winter or Death Valley in the summer, the battery’s standing voltage drops. A 12.3V static battery reading is approximately 50% discharged. Upon start-up, the alternator compensates for the discharged battery, picking up the vehicle’s electrical load while simultaneously charging the battery. This scenario repeats itself throughout a battery’s life and provides a vital clue. Meeting voltage demands, the alternator’s charge rate dramatically impacts battery life. When there is a wide voltage fluctuation between the discharged battery and its fully charged state, the repeated cycles of high charge voltage applied to the discharged battery will shorten the life of the lead battery plates. Even under optimal conditions, lead “shedding” takes place over time. When lead sloughing reaches a high enough level, or when excessive sulfating occurs, a battery becomes scrap. Sulfating is common to any lead-acid battery, whether sealed or not. Undercharging and overcharging accelerate the sulfating process. Sulfating is common to any lead-acid battery, whether sealed or not. Normal fluctuation between the discharged and fully charged voltage levels will create sulfation crystals. Undercharging and overcharging accelerate the sulfating process. Reducing the gap between the discharged voltage level and the fully charged voltage can dramatically extend battery life. 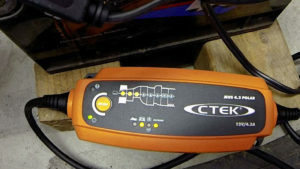 This CTEK charger has a unique reconditioning mode for de-sulfating a battery in good condition. The role of ambient and underhood heat is a key concern. Studies show that 75° is the point when a static or stored battery begins discharging itself. Above this temperature, sulfation and discharge rates can double for each 10° temperature rise. This explains why summer can be more damaging to a battery than winter. Fleet vehicle operators at Las Vegas report that batteries last less than two years when constantly exposed to heat in parked vehicles. The discharged battery starts the engine with a wide voltage gap to make up. Many diesel owners expect a battery to last no longer than its warranty period. They assume that cranking a diesel engine exceeds the demands of gasoline engines, and therefore the batteries wear out quicker. There is one truth in this reasoning: The depth of discharge may be greater with a high compression diesel engine’s starter load. In replacing our Ram’s OEM batteries, I offset this by characteristic stepping up from 750 CCA to 850 CCA rated replacement batteries. Immediately noted was a dramatic difference in the starter’s performance and overall starting ease. The more significant gain is the smaller drop in battery voltage following each cranking phase. 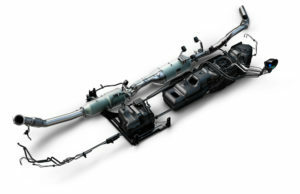 Diesel engines like the Cummins 5.9 or 6.7 use paired, parallel batteries to approximately double the available battery amp hours (AH) and increase resiliency. During engine cranking, if the battery terminals and cabling are clean, without excessive resistance, halving the voltage drop per battery proves advantageous. 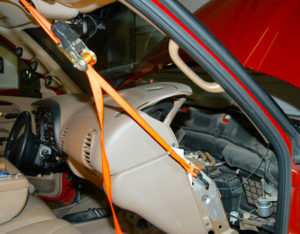 Battery voltage drop is minimized when there is 1) less use of the starter motor, 2) minimal cable and terminal resistance to allow both batteries to discharge equally and 3) a reduction in repeat start-ups, grid heater cycles or the use of lights and accessories when the engine is not running. 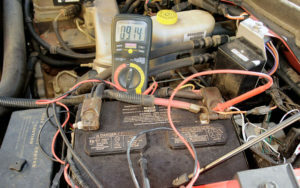 The most significant damage or wear to a battery results from cranking the engine when the battery voltage charge and specific gravity are low. Ambient temperature extremes play a role, and high specific gravity from overcharging can be equally damaging. For our Ram truck’s batteries to last 13 years required a strategy. Modern sealed and “maintenance free” batteries are more sensitive to overcharging. Keeping a sealed or low maintenance lead-acid battery alive requires monitoring its “float charge”. While a device like the Battery Tender can maintain a static battery float charge in the optimal voltage range, a dual-battery Ram’s alternator is not so kind. Driving down the road, we see a steady charge rate on the voltmeter in the 14.4V range. When summer and underhood heat increase, our 2005 Ram protects the batteries with a battery temperature sensor (BTS) beneath the driver’s side battery. The sensor directs a signal to the PCM and Electronic Voltage Regulator (EVR), which is built into the PCM. Classic D.C. generator voltage regulators offered this protection, too, adjusting the charge rate by lowering the current “cut-out” point as temperature increased. In either case, charge voltage drops when the regulator senses a heat rise. So how did two low-maintenance lead-acid batteries survive for 13 years? I credit this to three proactive measures: 1) methodical use of a Battery Tender, 2) adding distilled water to an allegedly “maintenance free” battery and 3) use of the engine block heater whenever practical in wintertime. When I purchased the two new 850 CCA lead-acid batteries for the Ram, the counter person said, “These batteries are ready for installation and use…Just put them in and go!” At only 12.6V out of the box, the first engine start-up might sound fine but will likely shorten the batteries’ life. Instead, these batteries went on my two-bank Battery Tender charger for a lengthy period (nearly 48 hours) before installation. The 1.25 amp charger first brings the batteries to an “absorption voltage” of 14.4 volts, which the charger holds for many hours before eventually switching to a lower 13.2 volts of “float stage” charge. 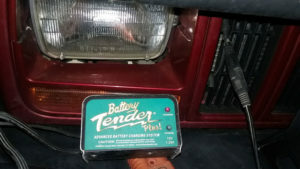 The Battery Tender, perhaps best known for preserving stored motorcycle or marine batteries without boiling out the electrolyte, is a survival tool for any 12V lead-acid battery. Winter or summer, a Battery Tender charges our batteries between start-ups. Whether parked overnight or for weeks, fully charged batteries spin the Cummins engine effortlessly. At start-up, the limited voltage drop minimizes the alternator impact once charging begins. This narrower voltage spread at cranking dramatically extends battery life. Experience teaches that discharging a winch battery to 12.0 volts or less begs for the use of a Battery Tender or a similar low-amperage float charger to safely restore the battery’s voltage. 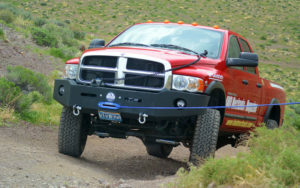 Our Ram 3500 is equipped with an 18,000-pound capacity winch. If possible, we leave the engine running during a winching stint to reduce battery voltage drop. 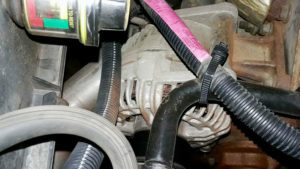 When performing a battery jump, allow the idling source vehicle to run charge current through the cables for 10-15 minutes before cranking the stalled engine. This helps prevent a wide voltage swing at start-up that could otherwise damage a badly discharged battery. With “Maintenance-Free” proclaimed on the battery, most owners and shops disregard battery service until the batteries require replacement. In the 13-year life of our unsealed OEM lead-acid batteries, on three occasions I added distilled (demineralized) water to the designated top-off point for each cell. While the cap design minimized electrolyte loss, these batteries did lose solution. Disregarding the instructions, my intervention kept these batteries from dehydrating and failing years ago. Like the batteries, I preserve the Cummins engine. When ambient temperature drops to 45° or less, it’s time to plug in the factory block heater. My Cummins still runs factory recommended 15W-40 diesel-rated oil. (Delo 400 has been my choice, and the contemporary 5W-40 option is tempting for winter.) The block heater provides engine start-ups without issues with oil viscosity and excess load on the crankshaft bearings. 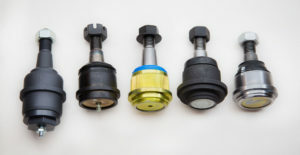 An estimated 95% of engine bearing wear takes place at start-up, and the block heater is one way to minimize this risk and circulate oil quickly. Since new, my Cummins has been started less than a dozen times without block heater support in subfreezing weather. The block heater raises the underhood temperature. 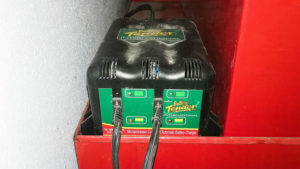 Using the Battery Tender and block heater allows the batteries to perform without stress during cold weather starts. A warmer engine bay often cancels the grid heater signal. If the underhood temperature is low enough to call for grid heat, I allow the grid heater to warm completely before cranking. 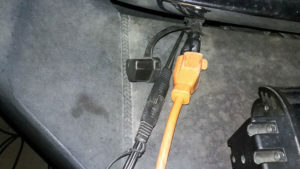 In cold weather, the block heater gets plugged in 6-12 hours before a planned engine start-up. At nearly 30 quarts cooling capacity, the system takes a while to warm up! Left on long enough, the OEM block heater will bring the engine to 140 degrees F.
If battery life and engine preservation are concerns, there’s more to cranking up a Cummins engine than turning on the key and waiting long enough for the grid heater to cancel. After firing up, allow the engine to idle for a minute to circulate lubricant before engaging gears. Originally published in TDR Issue 99.